Hello everyone, at this time I will share about AK-47 Gold Point Blank for Counter Strike 1.6, Condition Zero, Counter Strike Point Blank, Counter Strike Revolution and Counter Strike Extreme. 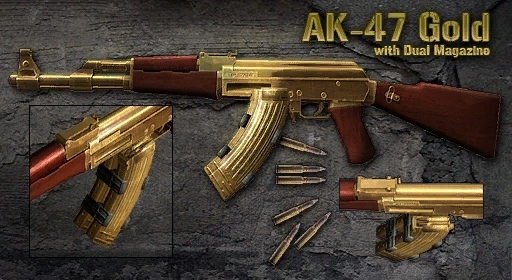 The AK-47 G is an Ak-47 type weapon whose barrel is coated with gold. 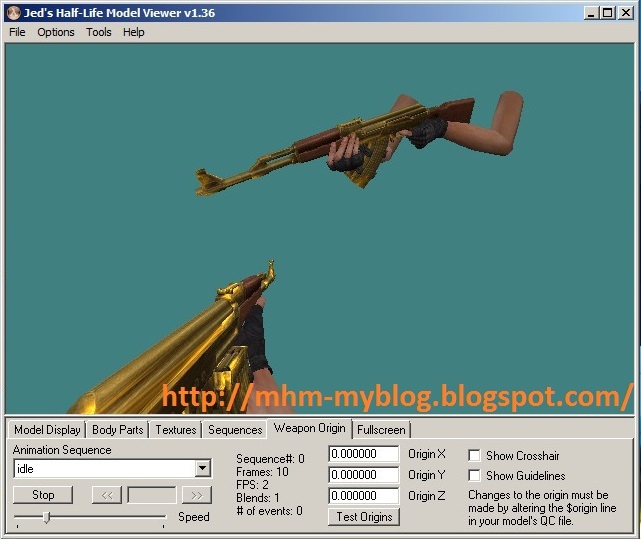 This weapon has an attractive appearance and greater strength compared to other AK-47s. AK-47 G merupakan senjata tipe Ak-47 yang larasnya dilapisi oleh emas. Senjata ini mempunyai tampilan yang menarik dan kekuatan yang lebih besar jika dibandingkan dengan AK-47 lainnya. O AK-47 G é uma arma do tipo Ak-47 cujo cano é revestido de ouro. Esta arma tem uma aparência atraente e maior força em comparação com outros AK-47.